The VW Jetta is a compact middle class car that can best be described as the Sedan version of the VW Golf. Like all other mid-range cars, it features only laminated glass in the windscreen. This is a structural difference compared to the rear and side windows of the car. After all, they are made of tempered glass. The use of laminated glass in the windscreen of this vehicle in any case has the effect that the windscreen will not splash into countless pieces in the event of damage. Do you also have to deal with damage to the windscreen of your Volkswagen Jetta? Would you therefore like to be offered the most interesting solution in the field of windscreen replacement of your VW Jetta? In that case we can be of service to you without any doubt! The exact location in the windscreen where the damage occurs. The type of damage that is involved (a crack or an asterisk, etc.). In principle, replacing a windscreen never has to happen in the event of an asterisk. By means of a special epoxy resin, this problem can be solved quite easily. Is there a crack or is your VW Jetta windscreen completely shattered? In that case it immediately becomes a completely different story. In that case, the windscreen must be removed. A damaged windscreen replacement of a VW Jetta to prevent a rejection of the car inspection is, as already indicated, only required at the moment that the driver can be hindered by the windscreen damage. The crack must therefore be in the driver's field of view. If the windscreen is shattered, it goes without saying that the car can no longer be driven safely. Then, of course, this replacement is always required. For many people the name VW Jetta probably doesn't immediately ring a bell. This is due to the fact that it has been absent from European and South American markets for a considerable period of time. That is why in 1992 it was decided to remove the name Volkswagen Jetta. From that moment on, the VW Jetta went through the life of the Volkswagen Vento on these continents. This was in turn replaced by the Bora in 1998. The new version that appeared in 2005 was again called the VW Jetta. How can you cheaply order a new windscreen for a VW Jetta? Ordering a new car windscreen is something most people don't want, on the contrary. This has everything to do with the fact that replacing the VW Jetta windscreen has the reputation of costing a lot of money. This reputation may well exist, but the truth is somewhere in the middle. In practice, it is you as the owner of the vehicle who will determine how much you want to pay. 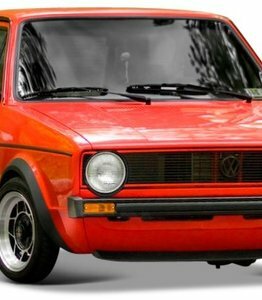 What many people do not know is that the windscreen replacement of VW Jetta is not only possible by using an original car window, an after market model can also be used. The latter is much more interesting financially. The car window replacement costs you have to pay can indeed be quite high in practice. Above all, however, it is the cost of the new windscreen that will have a decisive influence on this. However, as already indicated, the price of a new VW Jetta windscreen can be greatly reduced by opting for an after market car window alone. Moreover, if you replace the windscreen of a VW Jetta with new after market automotive glass, you will not suffer any qualitative disadvantage, on the contrary. Indeed, both car windows are produced in the same factory and form part of the same production line. The cost of a windscreen replacement for your VW Jetta can be further reduced by using one of our certified partners if you do not have this expertise in-house. Each of these experts is perfectly suited to replace your broken or damaged windscreen. Are you insured with a third party, fire and theft or comprehensive (all-risk) insurance policy? In these two cases, you can also have your deductible waived up to an amount of 150 euros. It may in any case be clear, replacing the broken windscreen of your VW Jetta by outsourcing it to us will only provide you with advantages!